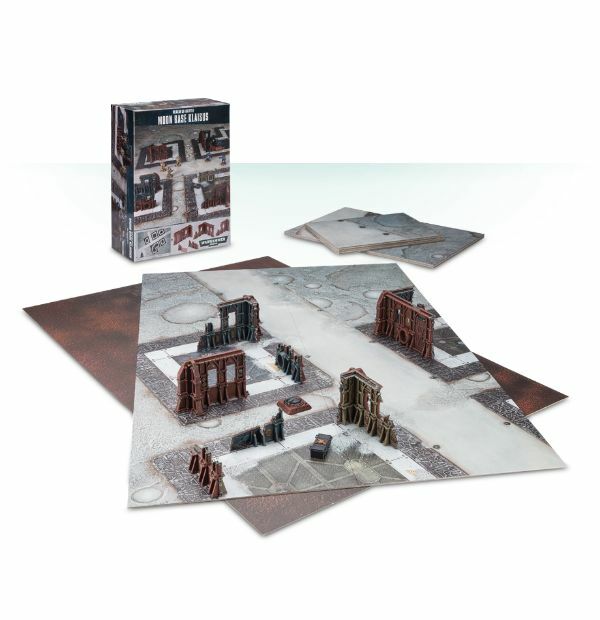 Games Workshop has launched the pre-order for their new Realm of Battle: Moon Base Klaisus Scenery Set featuring Warhammer 40K plastic ruins and cartonboard scenery tiles. 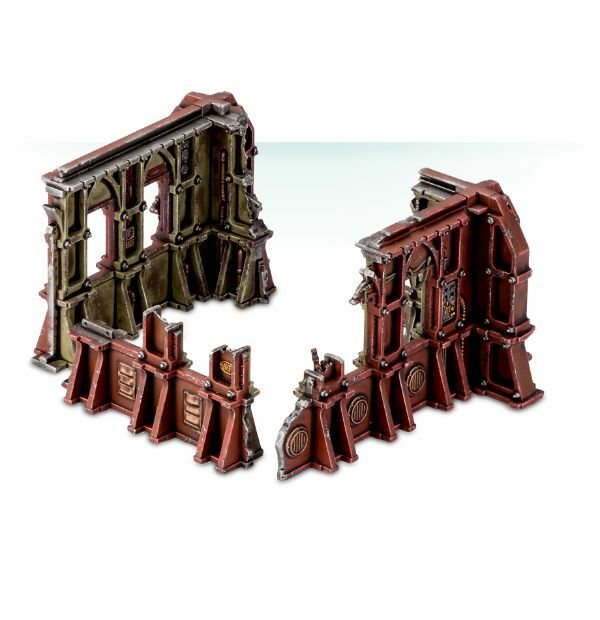 4 push-fit plastic scenery pieces - no glue required – representing ruined wall sections, which your models can take cover behind. 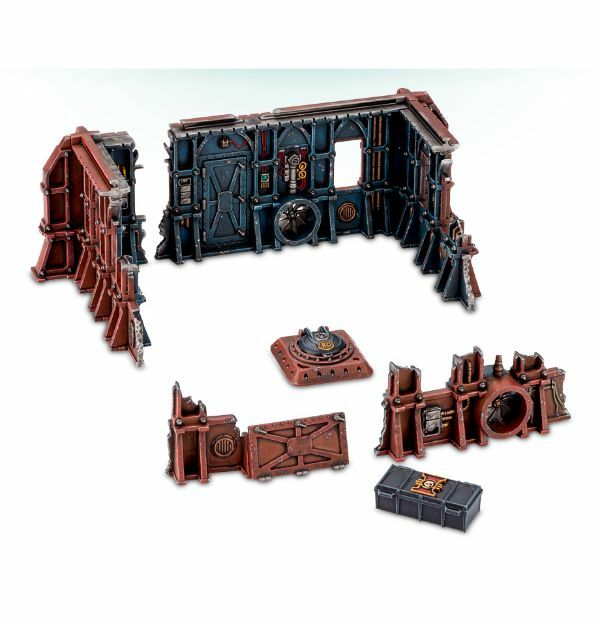 Each of these is able to slot into the others in any combination, allowing a variety of scenery – especially when combined with the 3 plastic ruins, access hatch, and Inquisitorial crate that are included. Each of these scenery pieces are designed to be match the Sector Mechanicus scenery kits available, making expansion easy; 3 Crucible of War missions, designed to be played using the contents of this box. These can be played individually, or linked together, giving you a campaign. Even the box this set comes in is useful: it’s made of strong card, making it perfect for storing your disassembled scenery set between games. Really like the Realm of Battle: Moon Base Klaisus ... but why oh why didnt they make it "full size"???? Think it's mostly an issue of being able to bring to market an affordable set-up for basic games and missions. A bigger box with a larger playing surface would have cost more and may have been seen as too expensive for most wargamers. You could always buy a couple if you would need a larger surface for your Warhammer 40K wargames but understand your point. Yeah, the thing is that its so close to full size that its hard to think its that much of a saving really. Just a couple of inches in each direction. But enough to mess up some scenarios and matched play.